The Maritime Museum is registered under the Australian Government’s Cultural Gifts Program as a Deductible Gift Recipient. 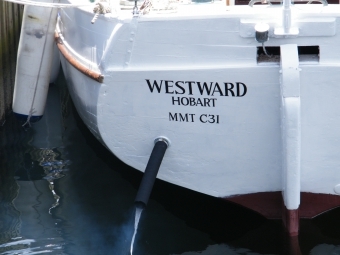 Gifts of objects, documents and artefacts relating to maritime history, especially as affecting Tasmania, and that meet the Museum’s Acquisition and Collection Policy are tax-deductible under the provisions of the Income Tax Assessment Act subject to certain conditions. The Museum is happy to explain the procedures and benefits of donating to the collection. Financial donations are welcomed and can be allocated to specific projects at the request of the donor and with the agreement of the Museum’s Executive. A tax deductible receipt will be issued and the support will be publicly acknowledged if desired. From its very beginning the Museum has relied on the generosity of donors to add to the displays. In addition, estate bequests enable conservation and restoration projects to be undertaken. If you would like to find out more contact the Museum by telephoning 03 6234 1427 or by email.